HTC's dramatic rise shows no signs of abating, with the Taiwanese handset manufacturer declaring a profit of more than £226 million for the third quarter of the year. HTC Corp's figures suggested an unaudited net profit of T$11.1 billion for July to September, more than double the profit in the same period last year. The figure was also well above what the analysts had predicted and testament to an astonishing couple of years by the Taiwan-based company. HTC are on the verge of releasing the HTC Desire HD and the HTC Desire Z, a follow-up to its immensely popular Desire. Indeed, phones like the HTC Desire, Wildfire and Legend have built on the breakout success of the Hero, and provided a real competitor for Apple's iPhone using the Google Android mobile OS. 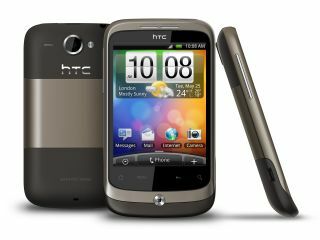 Also set to be released this month is the HTC Mozart – which will use Microsoft's eagerly anticipated Windows Phone 7 operating system. This represents a huge push from Microsoft back into the consumer phone market, and the US software giant has a long-standing relationship with HTC that stretches back into the company's white-label days.